I’m so excited to share my daughter’s 4th birthday party with you all! She is my youngest. She is feisty, strong-willed, sassy, and at times a little trouble maker. However, she is also tender,sweet, loving, kind, and a great little sister! 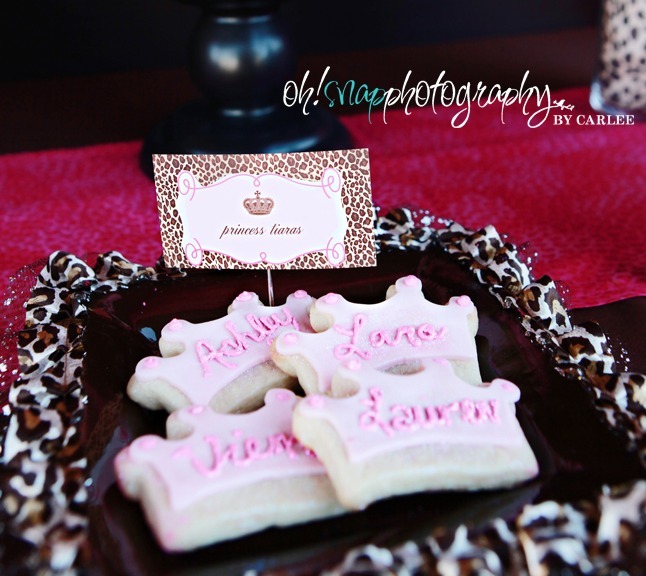 She loves anything princess and she wanted a princess party, but I wanted something not so traditional. 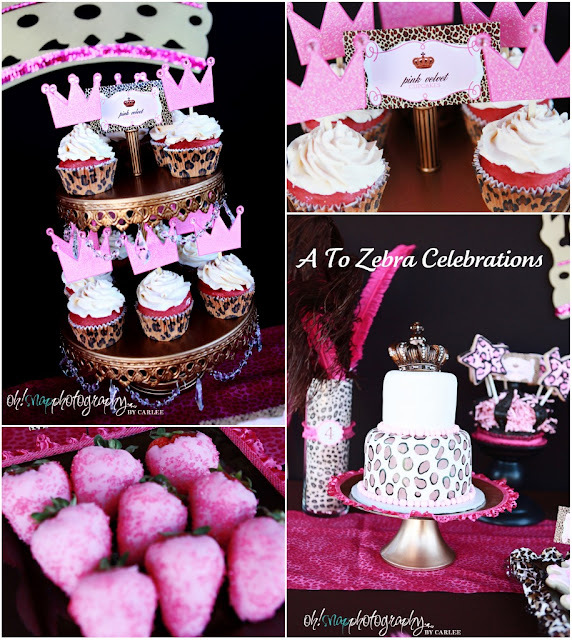 I love anything animal print, so that’s how the theme was born. I’m blessed to have met the two gorgeous girls behind, Anders Ruff. They were at the Martha Stewart conference in New York this past January. They are super talented! 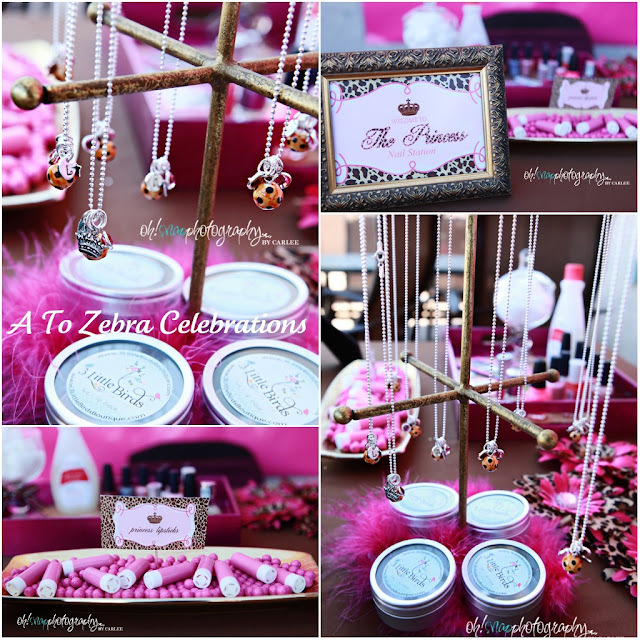 They created this entire party collection from scratch for my birthday girl! Aren’t they awesome?! I love their designs as much as I love them. Thank you Adria and Maureen. You girls rock! Here’s my gorgeous leopard princess! This picture was taken by my lovely friend, Liz. You can see her blog,HERE. The crowns you see on this drinks table are not mine. I borrowed them from a sweet friend. The personalized “HANNAH” wood blocks are frompostscripts etsy shop. Cute, cute stuff there!! The favor boxes are from Hobby Lobby. The water labels and party circles are from Anders Ruff. Leopard plates and napkins are from Paper Style. The pink plastic wine cups are from Hobby Lobby. I turned the palapa in our backyard into a princess castle…what do you think? The rose garlands are from Hobby Lobby. I borrowed the carriage from a friend. The gorgeous fresh rose arrangements on the table are from BloomingMill. They were beyond perfect! 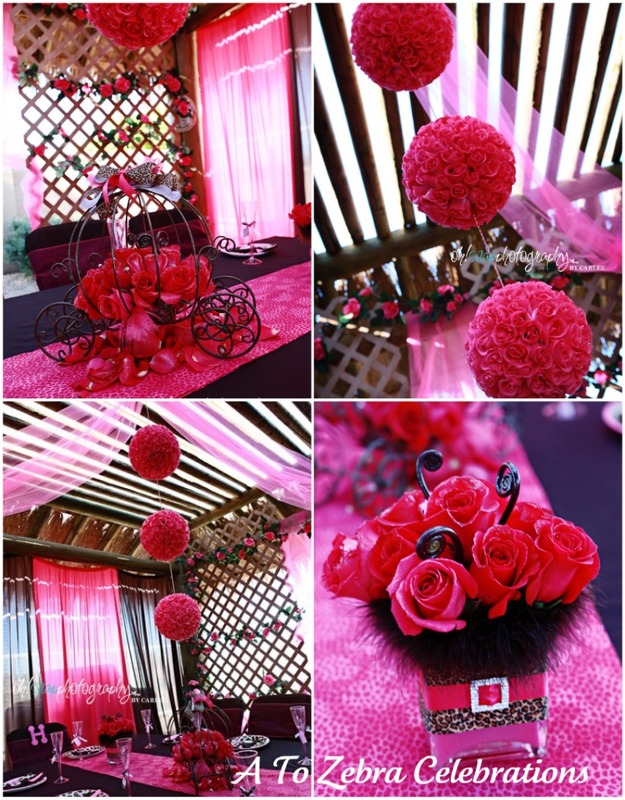 The 3 rose balls hanging were hand-made by yours truly and they took over 7 hours to make!! The pink table runners are also from my shop, A To Zebra Celebrations. I set up a “princess nail station” where the girls got their nails painted. I found princess stickers at Walmart and the girls were so excited! They also got a custom-made personalized necklace from 3 Little Birds Boutique. The pink candy lipsticks are from Candy Sweeties of Arizona. My princess Hannah….isn’t she beautiful?… If I say so myself…lol! Her crown was purchased in a boutique in Los Angeles, CA. Her flip flops are from Old Navy. My good friend, Jen added the leopard bows on them. Here are all the Royal princesses. They looked beautiful, but they truly felt like a princess! It was so magical for them! Which little girl doesn’t love to dress up, right? 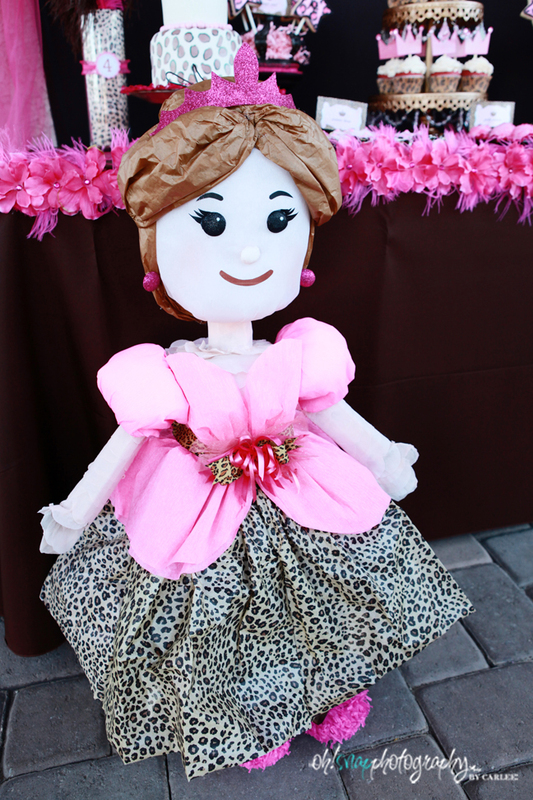 The girls enjoyed breaking the leopard princess pinata. You can find it, HERE. I made a banner for the front of the gifts table, but this time I chose “THANK YOU”. 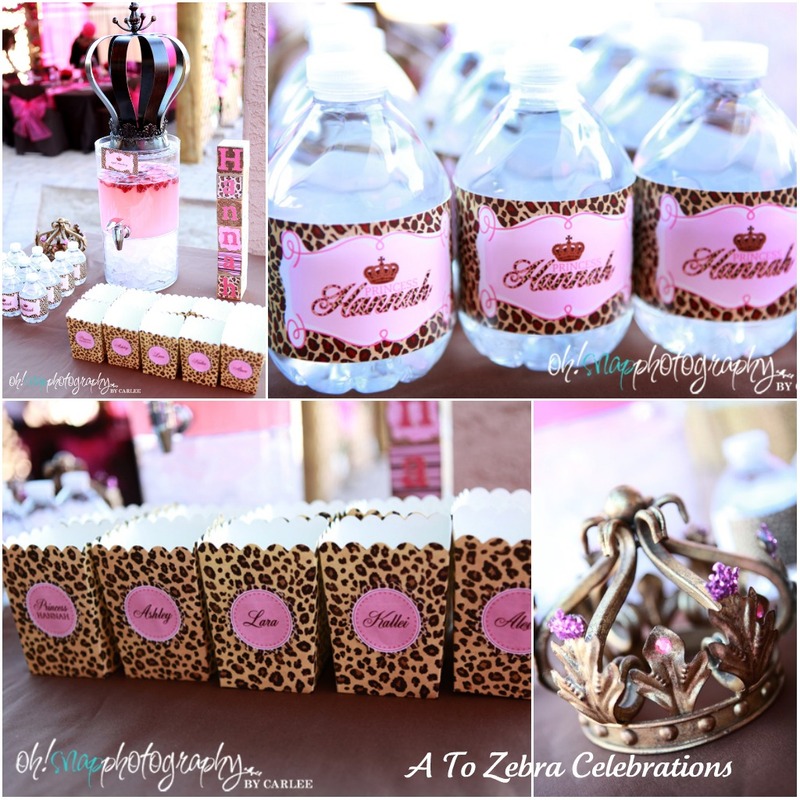 The thank you favors were princess crowns with pink jewels in a leopard box from Hobby Lobby. 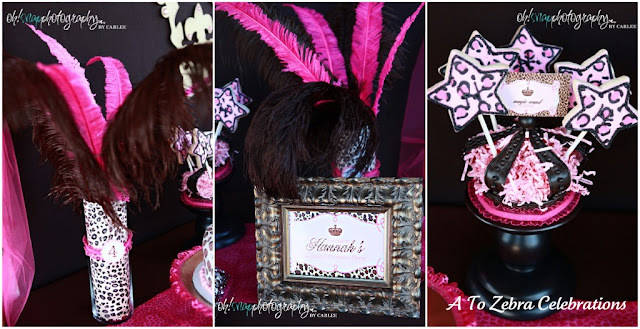 They also received a leopard flower clip from Punk Pixie Creations. Thank you so much, Amanda! Other details about the party. 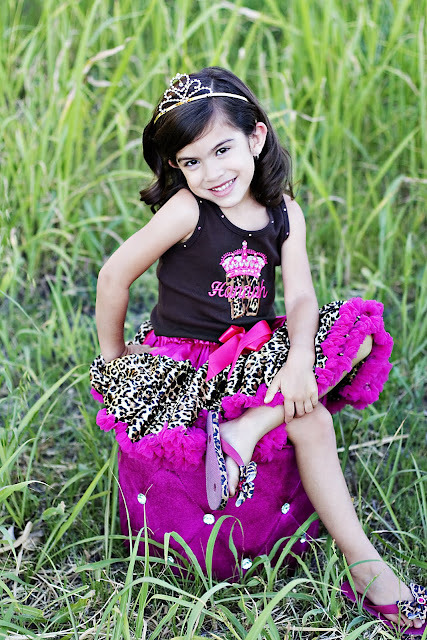 Each little girl was dressed in a pink pettiskirt from Pout In Pink. 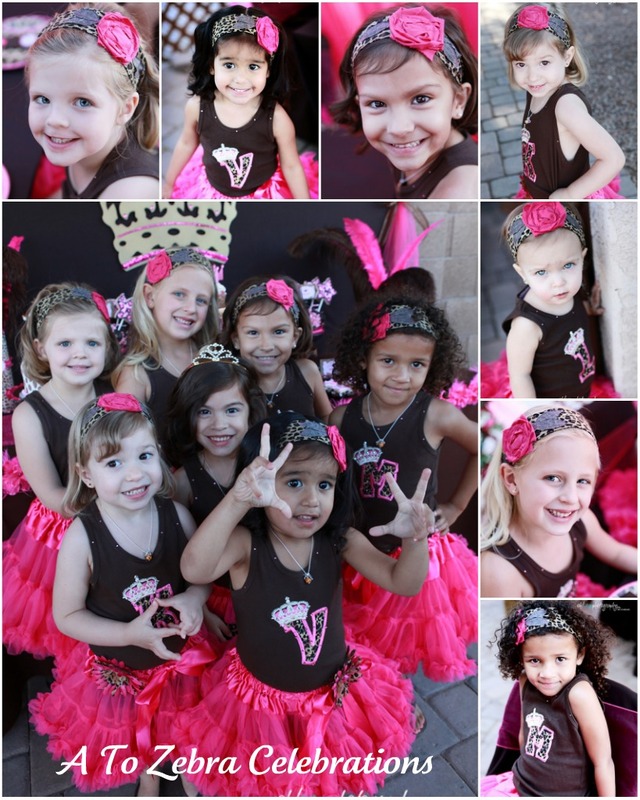 The personalized leopard princess tank tops are from The Lucky Princess. They are also wearing leopard wraps from Vintage Rose Wraps. 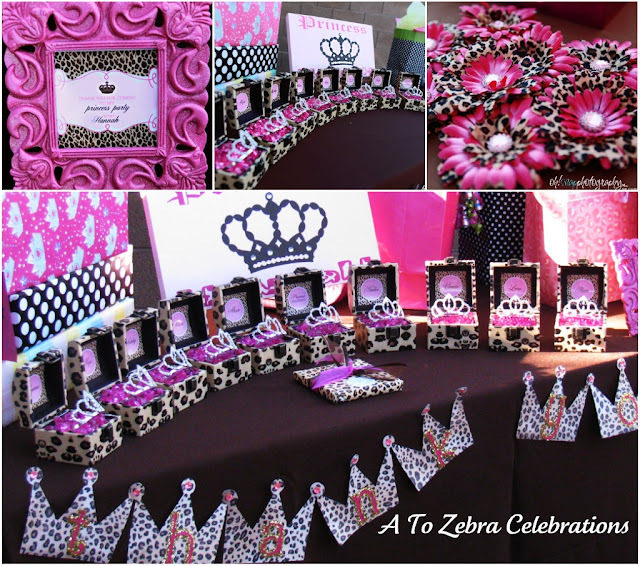 The pink and brown wood sign on the thank you/gifts table is from Our Hobby To Your Home. She is super talented! Be sure to check out her shop. 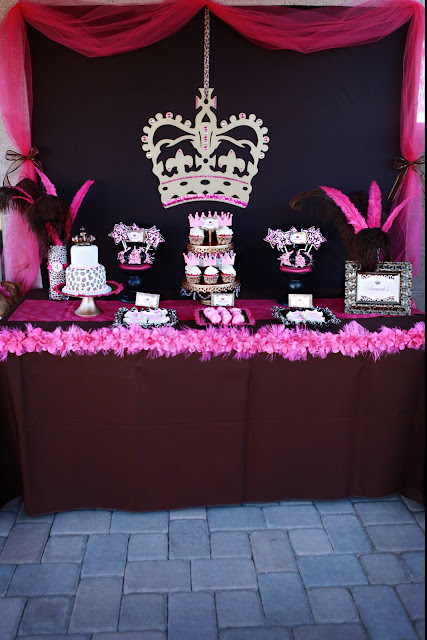 The brown chair covers, tulle, pink bows on the chairs, pink and brown feathers were purchased in Los Angeles, CA in various stores. 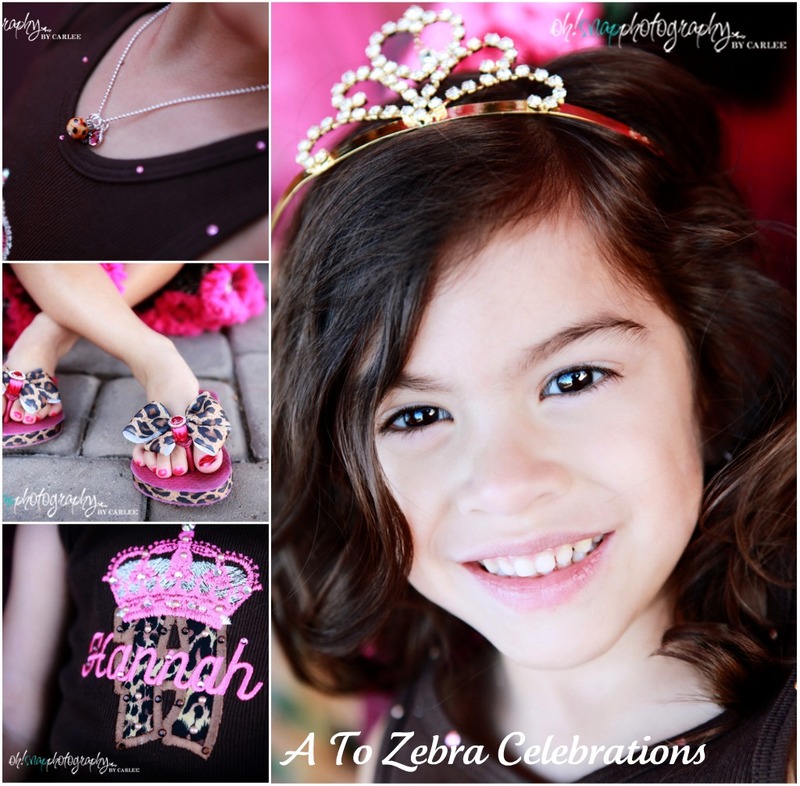 I am so thankful for everyone who was involved to create this party for my little sweetie! I could have never pulled this off without every.single.one.of you and all your help!! THANK YOU! THANK YOU!! So, what do you all think? Is this so crazy, over the top, fabulous?!! I love how everything turned out. 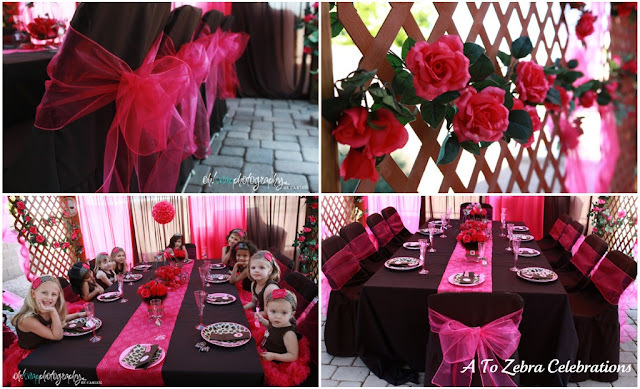 Would you like to have a party like this for your little princess?? Guess what! ?…..AMAZING giveaway coming next week that involves almost every vendor on this post……Wooohooo!!! You will not want to miss this one!! In the leopard princess party, does anybody know where the crown that is hanging behind the candy table came from. It is gorgeous and I would like a similar one for an even that I am doing! Beautiful! Where did you find the printed plates and napkins? I love the decorations where did you make the banners around the water I love that!!! hey there and thank you to your info ? I’ve certainly picked up anything new from proper here. I did then again experience some technical issues the usage of this web site, since I experienced to reload the web site many instances previous to I could get it to load correctly. I have been puzzling over if your hosting is OK? Now not that I am complaining, but sluggish loading instances instances will often have an effect on your placement in google and can damage your high-quality score if ads and marketing with Adwords. Anyway I’m including this RSS to my email and can glance out for much more of your respective fascinating content. Make sure you update this again very soon..
OH WOW THAT’S BEAUTIFUL! AW MAN THAT IS SO PRETTY THAT I CAN SCREAM!!! Hey omg i love your work its wonderful. Well my name is jessica & i was wondering if you could make centerpieces & invitations for my daughters first birthday & how much it will be please let me know thank you so much take care godless. Who did your invitations? 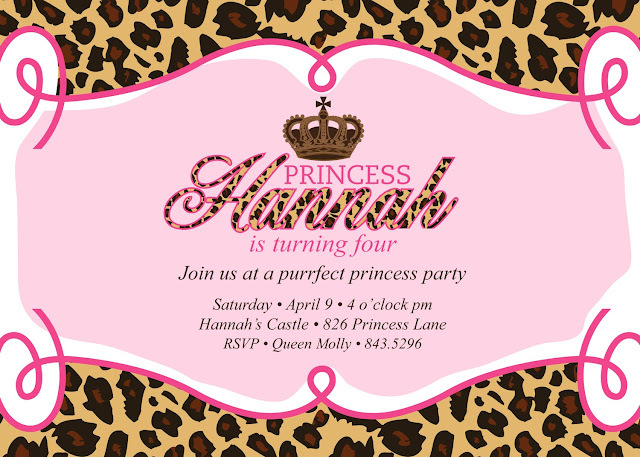 My daughter wants a cheetah/leopard party and i love this invitation. Thank you everyone!!! I love your comments/questions! so love all of the decorations & Hannah is so lucky. Beautiful party. I wanted to know where did you find the invitations? OVER. THE. TOP! Great job from top to bottom. I bet those little girls had the time of their lives! Thanks for the inspiration. You did such a fabulous job, Nancy! So glad we could help with the graphics! Sooo over the top and fabulous! Love it! my girls could get into this one!! Are you in the LA area? I have never seen a pary like it?!?! I think we just don't do parties that big here in lil ole NZ! It tends to be homemade – people think I go over the top… but WOW. Thia is a wonderful party!!! Everything is just perfect Nancy!!! You make me want to have another child to try for a girl! Wow! Beautiful party Nancy!! So many amazing details..your little girl is gorgeous! Holy cow. Wow! I am darn near speechless. This.is.a.4,year.old.party!?! Wow. Just wow. And impressive, of course. Your daughter is a beauty. Just stunning! 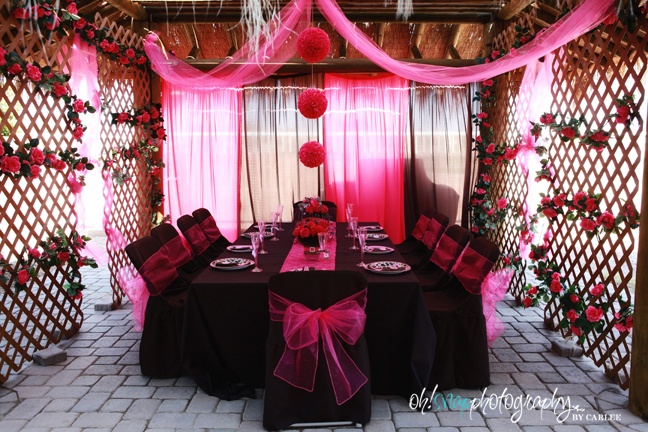 The table at the palapa is just amazing and those tiaras in the boxes! I die! That is the most amazing gorgeous party I have ever seen! Great job! You did an AMAZING job Mrs. Nancy!! I wish I could do something as half as amazing as this party for my little girl!! You definitely outdid yourself! Nancy — You did a fabulous job on this party! As always, I love all of the little details! 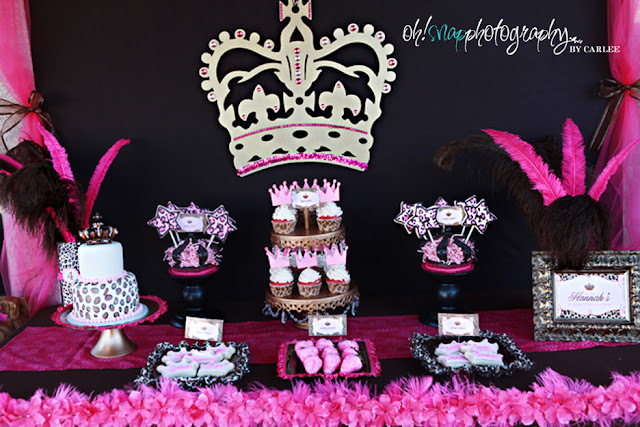 I also love the pink/chocolate color combo! What a gorgeous party! How fun!! Every detail was amazing! LOVE IT! Nancy, this is gorgeous! What an amazing party! Very nice party! Lucky Hannah!